Have you noticed that sometimes what you need just falls into place? Perhaps you've met the perfect client or life partner merely by being at the right place at the right time. On the other hand, there are some people who find themselves in one terrible relationship after another or who seem unable to shake off their bad luck. These experiences are evidence of a very powerful force. 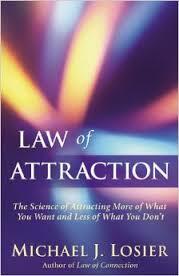 It's called the Law of Attraction, and right now it's attracting people, jobs, situations, and relationships to you. The Law of Attraction can be defined as: I attract to my life whatever I give my attention, energy, and focus to, whether positive or negative.